The Persistence of Modernity in Japanese Film Scores. The scores and music produced for Japanese cinema highlight a constant change of values within the country; a relationship rarely mirrored so accurately in the cinema of anywhere else. Whereas the film scores of other countries can be looked at as a product of the trends and studio directions, the evolution and changes found within the cinema of Japan are so intricately connected to outside factors, that the films and the medium itself define perfectly the clash between an apparent classicist tradition and the persisting encroachment of modernity. Cinema and cinema score is an interesting medium in general to look at when considering the issues of defining elements of a culture. Though some of it can be considered high art today and even classicist in the modern day, the notion of the medium being something other than purely populist entertainment was one shared by many cultural academics at the time and after the Second World War. This highlights why treating it and the elements around it like any other art form seems baffling; when discussing ideas of classicism in an art form which, by its own admission, is often extremely modern and populist can produce a long line of problematic debates. Japanese cinema itself throws up its own issues but it is within these issues where the most important points lie in defining popular Asian culture. The modernity of the form as already stated will no doubt provide some of the biggest debates but, as a musical form, the scores and directors reflect a slow but steady change as well as western influences. “After Japan’s isolation ended with the imperial restoration of 1868, the country’s culture had come under successive waves of influence from the foreign imports: first translated literature, then modern drama and latterly cinema” is Rayns’ explanation for the latter which will be looked at in more detail later (2011, p. 1). The examples that follow represent a jump in style, genre and most importantly time; cinema’s greatest ally in the attainment to critical recognition which cannot be underestimated when discussing the issues of classicism and modernity. What once may have been seen as at the cutting edge of modern Japanese film music can now be seen as the most definite example of the traditional. However, the western viewing perspective of this must also be taken into account as Nagib points out: “Because Japanese cinema was normally at odds with the realist conventions of the so-called Hollywood classical cinema, Japanese directors in general were regarded as rebellious by European critics, regardless whether they were, like Mizoguchi and (a late western discovery) Ozu, hegemonic at home” (2012, p.163). As the medium itself has always been considered a popular cultural currency, the music will have had to take this into account. This factor will be addressed in due course but suffice to say, the increasingly rapid evolution of the medium in the country has allowed it to grow around the Japan’s defining times meaning that cultural shifts and the change in national context of the country’s global and cultural output means that it is an excellent pointer in relation to the development of what we consider to be contemporary Asian culture. With the passage of time comes the process of canonisation; the delineation of movements and works of art that take on new meanings thanks to the added power of hindsight. The work about to be discussed shows that, even with the knowledge of what would come about later in film; film music and popular music (even the now supposed classical elements of cinema) were initially just as defining and modern as the more obvious, J-Pop influenced later examples. The films of Yasujirô Ozu now represent the ultimate in classical Japanese film and yet within them and their music, the viewer can find a reflection of Japanese society and values that seem almost modern when put into the context of the era. 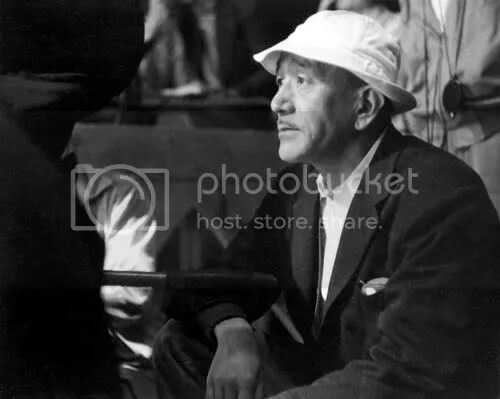 Whereas the films of Akira Kurosawa often revel in the nationalistic pride of the samurai genre, Ozu is more interested in the general traits and relationships found within contemporary, Japan. It is telling that Ozu only made one samurai film (now sadly missing) and that the majority of his feature films are set in modern day Japan. What now seems to be a classical, traditional form of Asian culture must have seemed modern and cutting edge at the time of screening. Our main case study will be one of Ozu’s later films but his earlier work is worth mentioning to contextualise some of the more interesting points. There at first seems little point in discussing any of Ozu’s silent films as they now contain modern, avant-garde scores but they do highlight some apt points for discourse. The first is the very obvious and, almost proud, influence of American culture. This manifests itself visually, sometimes in subtle nods to actual Hollywood films, sometimes overtly through homage. The point is worth raising as the influence of western culture and music will be a point repeatedly returned to as a marker for modernism. Rayns argues that “They (the characters in the Student Comedies)…did embody the hunger for western ideas and lifestyles that gripped much of Japan’s urban population” and Ozu’s student comedies are the most popular embracement of this (2011, p.1). This could in itself become another problematic factor in discussing any sort of popular Asian culture but looking at film and film scores somewhat makes the task slightly more tangible as the western influence is so obvious, it becomes easier to distinguish the other influences and reflections coming directly from Japan. “The Student Comedy was one of the genres that Japan’s pioneering directors picked up from imported American films, especially of course, movies like the seminal Harold Lloyd vehicle The Freshman (1925)” claims Rayns (2011, p.1). While in silent films such as Ozu’s Days of Youth (1929), the visual presence of Hollywood film posters on the walls, American university banners draped over furniture and Harold Lloyd like characters will no doubt scream of US influence, the musical experience for the original silent audience would have been far more traditionally Asian/Japanese than what is presented today. 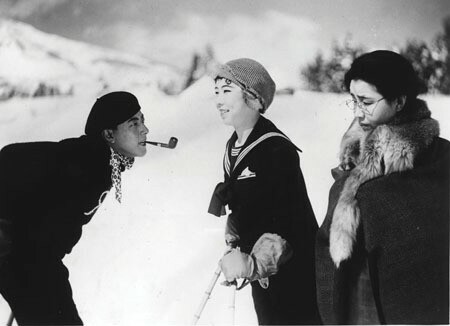 Traditional instrumentation will have been used to soundtrack the film live but the main interest in Japanese silent film and the roles of tradition can be found in the presence of a benshi; “With the appearance of the silent film in Japan a new field of endeavour opened up for the story teller. He became a benshi (a speaker), a man who stood at the side of the screen, telling the story in detail, commenting on the acting, and delivering the supposed lines of the actors” (Ernst, 1956, p.115). This person would often read out the title cards of the silent film in character and even pre-empt sequences of action and drama with reactions to get the audience excited. However, his presence suggests an element of Japanese tradition that must have clashed somewhat with the modernity of the US influence. This man’s job (and it would no doubt have been a man in the then, still heavily patriarchal society) is a direct evolution of a Kabuki theatre practice; previously denoted as a kodan-shi of which the last quote refers to. Kabuki theatre may have been popular but it also represents the most traditional values of Japanese society both in its performance and its reception. The influence of the theatre tradition is an interesting factor in Ozu’s silent films and can be seen as one of the key elements that has lead to his work becoming the bastion of Japanese classicism. Japan’s earliest film is the recording of a Kabuki play in order to document the famous actors of the day. “Maple Viewing (1899), the oldest extant print of a Japanese movie is a filmed performance of a Kabuki play with the same title” shows the extent of Kabuki’s influence on film (Sato, 1982, p.15). This influence extends to Ozu’s films made in the era of sound and the balance between traditional and modern values in our main case study stems very much from both the influence of the west and the traditions of the Kabuki theatre. Screen-Next-The-Sea Film Festival – Kevin Brownlow Lecture.